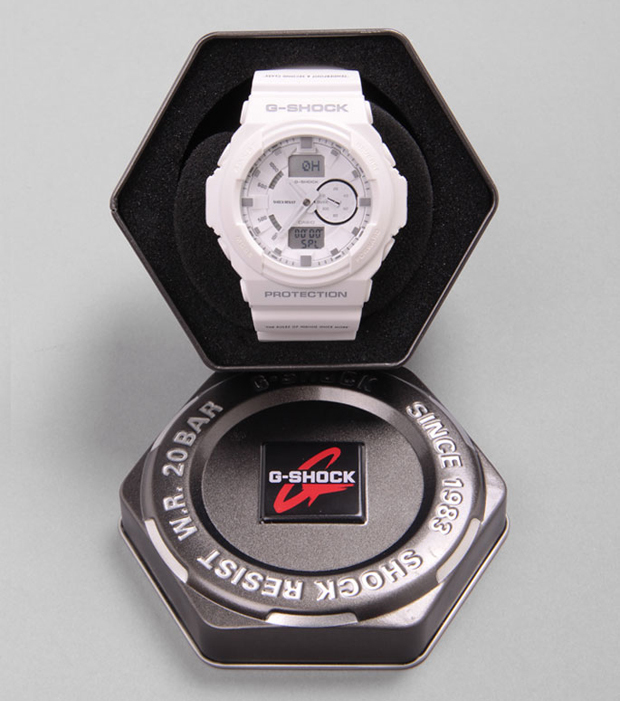 London store and brand Garbstore come together with Casio’s G-Shock to create this limited edition GA-150 watch. 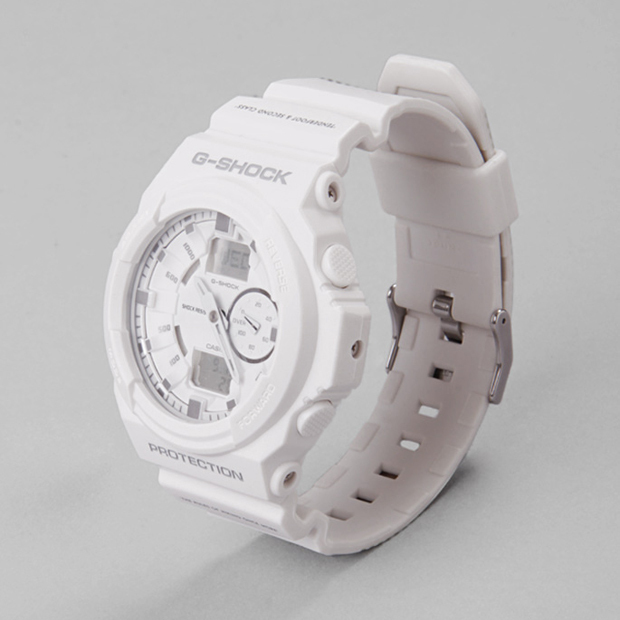 This watch can be quite hard to pull off at times, what with it’s large presence and busy face, but Garbstore calm the design right down with this all-white rendition. 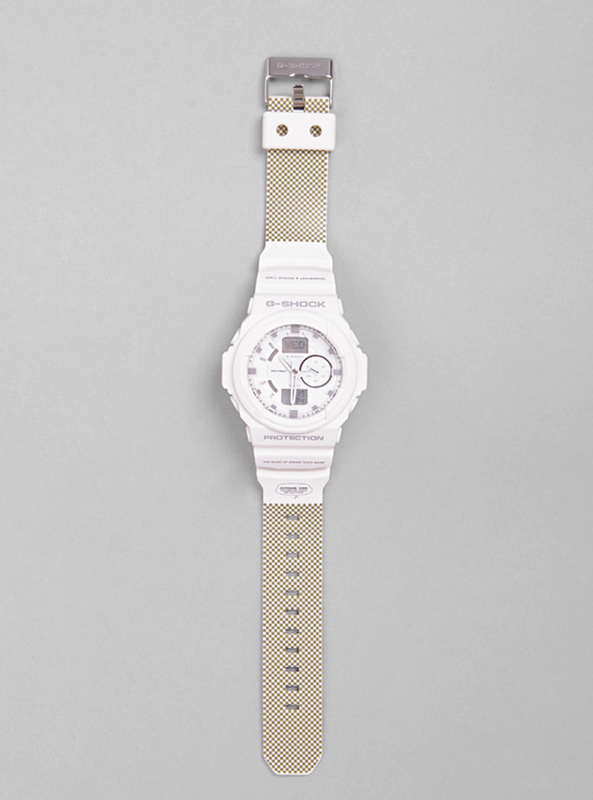 The white on white approach gives the watch a ghostly appeal and a certain elegance. Part of the strap features a tight checkerboard pattern in a muted green colour and makes for the only addition of colour on the whole watch. It’s an addition that could well have been left off the watch to achieve that perfectionist minimalism. 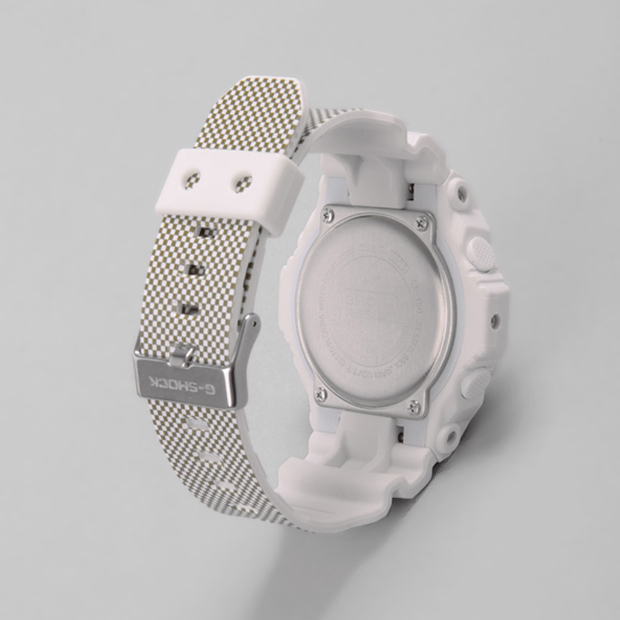 Small details come in the form of the slogans “The Rules of Hiking Once More” and “Tenderfoot & Second Class” on the strap, along with the Outdoor Code speech bubble branding. 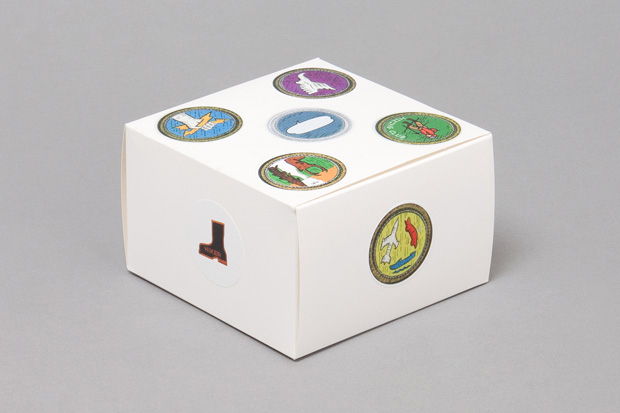 The only other addition is the stickered blank box that the watch and tin are presented in. This watch is an absolute beast. 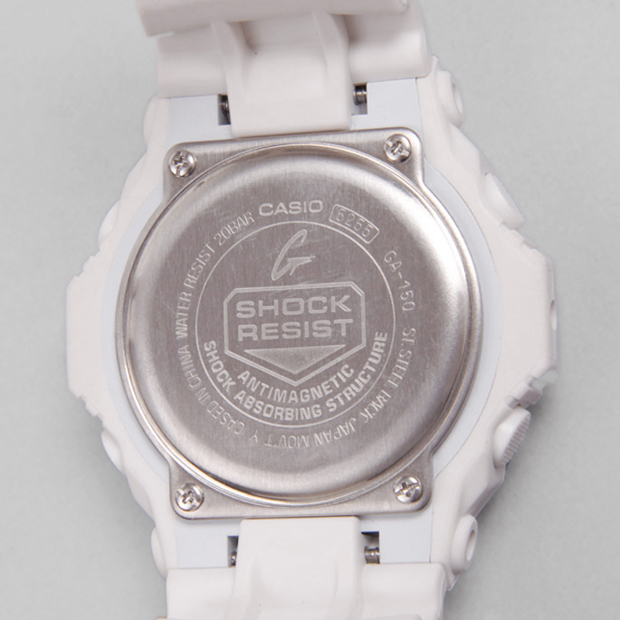 Stepping aside from the design for a minute and looking at what Casio bring to the table here, this thing is 200M water resistant, magnetic resistant, has 29 time zones, a 1/1000th second stopwatch and all other kinds of trickery. As I said earlier, the GA-150 is a beast of a watch and will serve you for almost every purpose needed, as well as looking stylish. 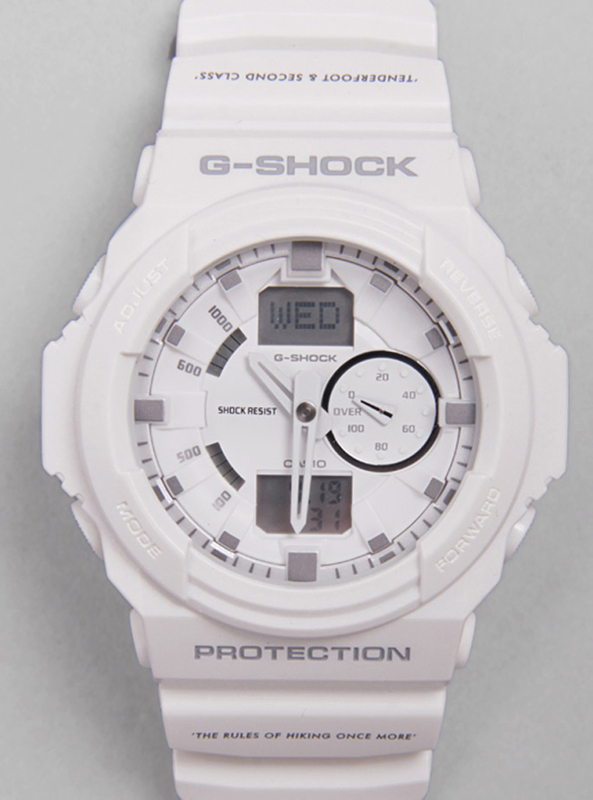 The Garbstore G-Shock GA-150 is available online and in-store from Garbstore now for £150.